The picture and sound (video and audio) keeps skipping and jumping. The drive is stuck and isn't coming out, and when it does come out, it doesn't go back in straight. I can't hear anything happening when I put a disc in. Why? Discs come out of my player with a scratch on them. WHY???? There are no unsolved problems listed on our records for this blu-ray and dvd player. To submit a problem or give a solution for an unsolved problem, please see the section below. Problem: The picture and sound (video and audio) keeps skipping and jumping. Solution 1: There are usually two reasons for skipping or jumping: dirt and scratches. Dirt: There may be some dirt on the DVD (wipe gently with a lint-free cloth from the centre of the disc outwards). If the jumping and skipping is on all discs, the lens might have some dirt or dust on it. Buy a cleaning disc (google!) and let it run. Scratches: Scratched discs are difficult to mend. If it is a personal disc (i.e. home-made, photos, home movies etc), you might be able to copy the disc to a computer and then make a fresh copy. If it is a store bought disc, you might still be able to try to do this but the disc might have copy protection. It is illegal to break copy protection, so I can't recommend the many guides on Google for doing this. Problem: The drive is stuck and isn't coming out, and when it does come out, it doesn't go back in straight. Solution 1: It sounds like your disc tray is out of alignment. Google "fix disc tray alignment" for help. Problem: I can't hear anything happening when I put a disc in. Why? Solution 1: This may be a spindle motor failure. You can replace these for anywhere between twenty and fifty pounds if you do it yourself, but you will void your warranty. If your machine cost you anywhere under 80 pounds, it's probably not worth you doing this. Problem: Discs come out of my player with a scratch on them. WHY???? Solution 1: There is probably something that has broken off inside the casing and is touching the disc as it spins or you insert or remove a disc. 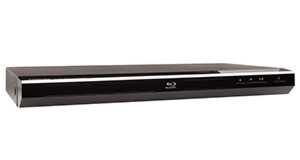 Check thoroughly inside for any sharp plastic or metal sticking up near where the disc sits. Only use cheap or blank discs to check that this problem is solved. All problems on this page have been submitted and answered by users. If you have a problem with the Sony BDP-SX1, please submit it below and we'll post it here. If you have a problem and the Blu-ray or DVD player is under a year old, contact your retailer to arrange a repair or replacement. Under the Sale of Goods Act, you should be covered for at least a year and maybe longer. Ensure you check faults with a range of DVDs - you want to be sure the player (and not the DVD) has a fault before you do anything drastic.